« Build Me Up Buttercup! This morning I will adventure out on an 11 mile training wog. I always think at 11 miles, should we be just going another 2.2 and having a party at the end, but never the less it’s the beauty of training. The longer mileage, they always suggest trying out all of the things you’ll be doing on actual race day, fuel hydration, shoes, socks, music, etc. I thought I’d share my favorite hydration and fuel. I’ve had a couple mishaps with fuel making my stomach upset, I’ve also determined my love of caffeine is not true when I am mid-race. So, I stick to caffeine-free. 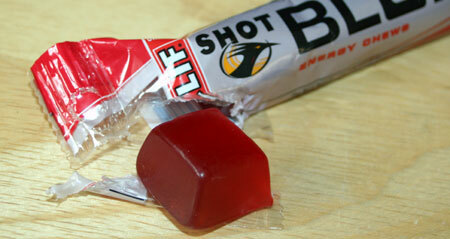 I love Clif Shot Bloks. I cut the tubs in half and put it in my pack, making for easy pop in your mouth on the go-ness. My favorite flavors are mountain berry and cran-razz. For the longest time I only drank water. I didn’t buy in to the whole you needed something in your water thing, until I thought okay what if it improved how I felt in the last 4 miles. So, this year I decided to try some. I have never been good with Gatorade or high sugar drinks, they make me nauseous. 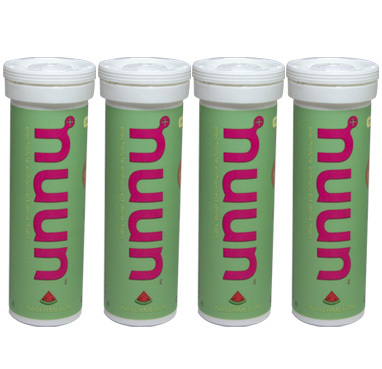 I’ve heard Nuun, but never tried it. I tried grape and it was okay, but they recently released watermelon and my world has been flipped upside down! I love it! It has helped with my performance and tastes absolutely delicious! The fact that they refer to at limited edition worries me. I just bought another 4 tubes at REI this weekend. The other part of hydration is how to carry it. I started out with a hand carry bottle, but as I walk and swing my arms I started realizing how much it bulled at my shoulder, and the fact that I sloshed water all over the place. I couldn’t have the luck of using a bottle that I could get open, or closed. My dad is a cyclist, and always waxed poetic about the Camelbak Podium bottles. Then I discovered their Delaney back that incorporated pack and Podium. Oh, it came in pink. SOLD! I’ve really enjoyed it, although I’ve seen an improved one that definitely expands on it’s awesomeness. 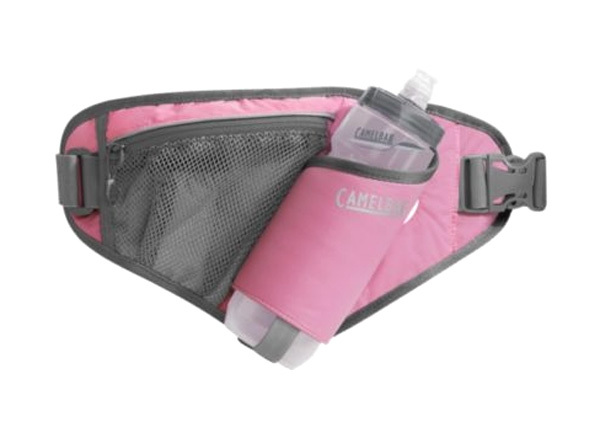 This year during training I also tried the Camelbak Arc 2. I do think it’s great for a small bottle pack, the trouble is the way I am shaped it either wants to be low and creep down when I pick up speed or be up around my bra and that is uncomfortable. Maybe, as I lose weight I’ll be able to comfortably use this one more. Do you have a favorite fuel or hydration for working out?